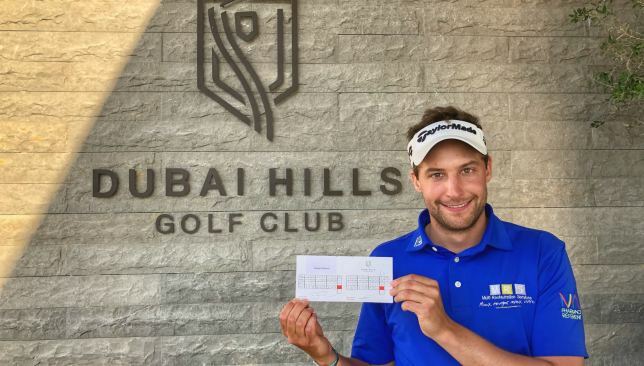 Frenchman Antoine Schwartz played a stunning first round of 10-under par 62 in tough conditions at Dubai Hills Golf Club on Tuesday to open up a five-shot lead in the Troon Series – Dubai Open presented by Turkish Airlines. Despite playing in a steady afternoon wind, the 29-year-old Parisian went on a birdie binge and was an incredible 11-under par through his first 12 holes. That included nine birdies and an eagle from 30 feet on the par-5 11th hole. A late bogey on the 16th put paid to his hopes of shooting the first-ever 59 on the MENA Tour, but the 62 was good enough for a five-shot advantage over England’s Benjamin David, Scotland’s Craig Ross and Dutchman Pierre Junior Verlaar (all 67s). Seven players were tied for fifth place at four-under par 68, including Zane Scotland, the most successful player in the history of MENA Tour with 10 wins. In the amateur category, England’s Jack Floydd was the best with a two-under par 70, followed by his compatriots Curtis Knipes and Ben Davies (both 71). Schwartz’s effort matched the lowest round ever on the Tour, previously held by South Africa’s MG Keyser and India’s Rayhan Thomas (both 61, 2017 Dubai Creek Open). It also matched the largest 18-hole lead, which was what Scotland enjoyed at the 2013 Royal Golf Dar Es Salam Open. Schwartz, who topped the Pro Golf Tour Order of Merit in 2016 and qualified for the European Challenge Tour last year, was two-under par after four holes with birdies on the first and third, before unleashing a flurry of stunning shots over the next eight holes. The 10-under par 62 round was his best as a professional, bettering an eight-under par 62 four years ago in Austria. “Of course, you are thinking about a 59. The last five-six holes here are tough, and even more in the windy conditions that we faced almost throughout the day. I just tried to stay aggressive and I even gave myself a couple of chances, but it was not to be. As part of MENA Tour’s commitment to enhance the playing opportunity for its members, the champion this week gets an invite to the Slovakia Challenge (July 4-7), on the European Challenge Tour. 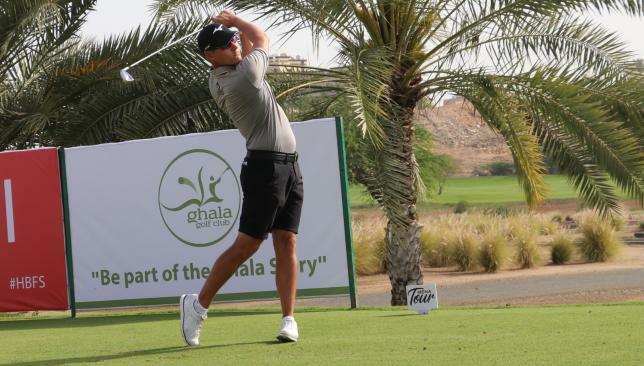 Othman Almulla will compete in his second European Tour event of the month when the Oman Open kicks off on Thursday and Saudi’s first professional golfer is determined to not just make up the numbers at the stunning Al Mouj Golf. The 32-year-old will join the likes of defending champion Joost Luiten, 2018 winning Ryder Cup Captain Thomas Bjorn and Oman’s No.1 amateur Azaan Al Rumhy in the Sultanate after receiving an invitation to play from event promoters, the Oman Golf Committee. “Azaan is one of my closest and dearest friends so I spoke with him about participating in the tournament and from that conversation the Oman Golf Committee sent me an invitation which was nice,” said Almulla. “I think it’s important for the GCC countries to support each other in golf and give the guys opportunities to play in these events. Almulla’s first professional start came at the ground-breaking Saudi International, the first-ever European Tour event in Saudi Arabia, which featured four of the world’s top five golfers in the world – Justin Rose, Brooks Koepka, Dustin Johnson and Bryson Dechambeau. Despite missing the cut at Royal Greens Golf & Country Club, Almulla was delighted to be a part of history in the Kingdom and help inspire the next generation. Almulla tees off at 12:20 on Thursday with Denmark’s Kristoffer Reitan and Englishman Scott Gregory.